Smokers lines are fine wrinkles and lines on the upper and or lower lip that radiates out from the red lip border. Smokers lines are also known as perioral rhytides or “pucker lines”. The “smokers lines” are worsened when the mouth is puckered by the contraction of the Orbicularis Oris muscle that surrounds the mouth like a purse string. 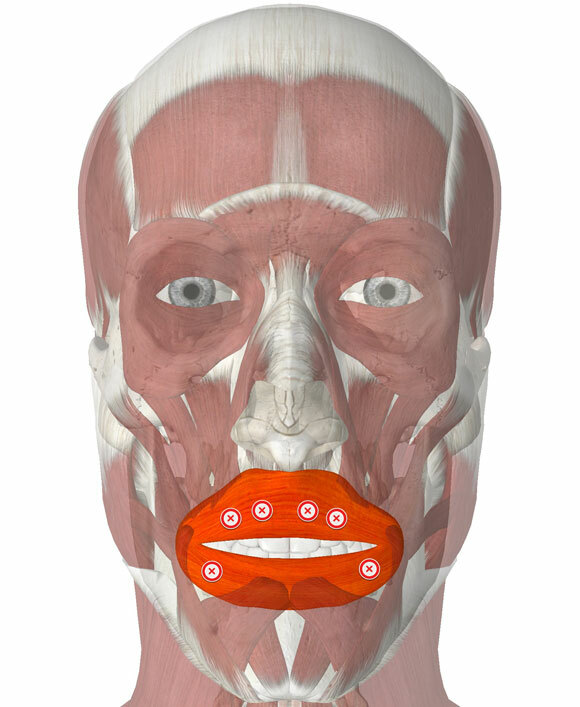 The Orbicularis Oris muscle is highlighted in the image below. The injections are placed in the area where the smokers lines are, close to the red border (vermillion border) of the lip. The injections sometimes also cause a slight eversion of the border of the lip, i.e. the lip can look slightly fuller.